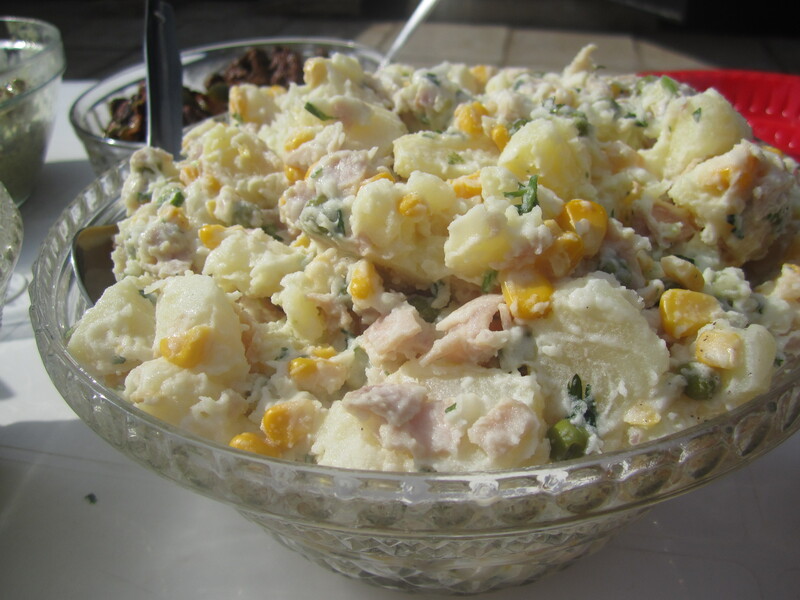 Shanna made the potato salad before hand. Has to be one of the best potato salads I’ve had in a while! Also the recipe is really really easy! *To cook the bacon, heat a frying pan on medium low. Lay out the strips of bacon in a single layer. Gently cook, turning over occasionally with tongs, until lightly browned, and much of the fat rendered out. Place on a plate lined with paper towels to soak up the excess fat. Do not pour any fat from the pan down the drain, it will clog it. Instead, pour it into a jar, or sop up with paper towels and discard. 2 In a large bowl, whisk together the sour cream, mayonnaise, and mustard. Add a little salt and pepper. Add the potatoes and use a rubber spatula to gently combine. Add the rest of the ingredients, again gently combining. (Include a couple tablespoons of the pickle juice for good measure.) Season to taste with salt and pepper.